Welcome the NEW Microsoft Surface Tablet! 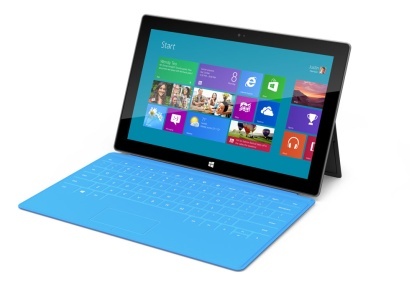 Microsoft has unveiled their new Surface Tablet, scheduled for release October-Early 2013. Pricing was kept quite from Microsoft but I would expect it to be between iPad-ultrabook pricing, looking around $700+. Here are a few spec’s from the upcoming Surface. *Integrated kickstand with 3 mm thin pressure sensitive cover doubling as a keyboard. *Dual Mic inputs with stereo speakers. *Blue, Pink, Red, Black colors are available. No word yet on whether or not the device will be 3G or 4G capable, so keep that Wi-Fi nearby! A Surface Pro Tablet will be released three months later in early 2013, for further information please subscribe to stay up to date! Xbox 720, The attack of the consoles!